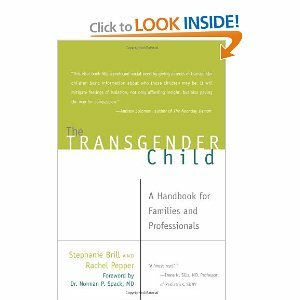 Resources for transgender and crossdressing children and teens. For those times, when suicide SEEMS like your only option! the discerning transgender woman & crossdresser! Gift cards now available from En Femme. or crossdresser friend or family member, then look no further! Let your loved ones shop to their heart's desire at the web's leading crossdressing store. gender may be expressed and respected. in which ALL children are respected and celebrated. No Prescription Necessary...No Questions Asked! 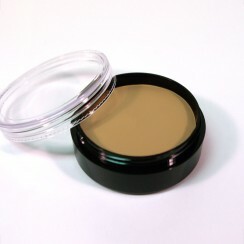 quickly feminize your entire body & mind...without a prescription! This is the same estrogen that dedicated transsexuals take every day. This Estrofem Estradiol estrogen is the legitimate full-strength 2 mg per tablet. Most t-girls take 2 - 8 mg of Estrofem Estradiol estrogen per day for total feminization. 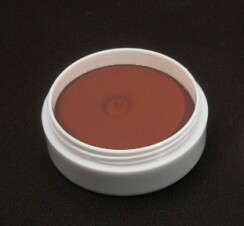 Most other female hormone products also available. Otherwise your Estrogen will not be nearly as effective. For Free Shipping...Click Here Now! or to your post office box through US Postal Service. Note*** This online pharmacy is a totally legitimate, highly professional company. I work with transgender clients who are beginning their transition. I am also currently exploring potential sources of funding for medical treatment. overnight summer camp for transgender and gender-variant youth - ages 8 through 15.
and connect with others in similar situations. Find a Map to this event. Check Weather Forecast before you go to this event. Keep track of Gas Prices and the Lowest Airfares for this event. gender non-conforming, gender variant, and transgender children and adolescents. families raising gender variant and transgender children. the authors cover gender variance from birth through college. How Young is Too Young for Girls to Start Wearing Makeup? How to Find New Friends Fast! Isn't It Time to Stop Judging Yourself? 4 easy steps to find the perfect bra that will do wonders for your "girls." Body Shaping Cosmetic Surgery Procedures? 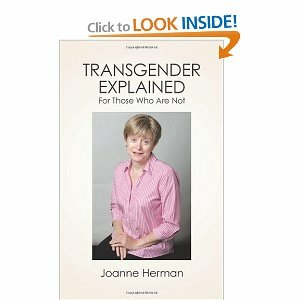 Transgender Explained - For Those Who Are Not. For Families, Friends, Coworkers, and Helping Professionals. 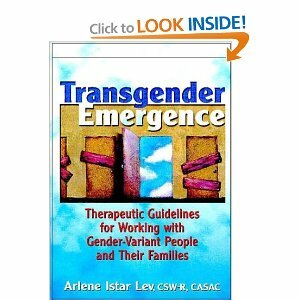 Therapeutic Guidelines for Working with Gender-Variant People and their Families. crossdressing, transsexualism, and related topics. Special discounts given to TG/CD support groups! At What Age Do Young Girls Start Puberty? that can lead to social rejection. The factors involve a child's inability to pick up on and respond to nonverbal cues from their pals. In the United States, 10 to 13 percent of school-age kids experience some form of rejection by their peers. child will get poor grades, drop out of school, or develop substance abuse problems, the researchers say. "It really is an under-addressed public health issue,"
said lead researcher Clark McKown of the Rush Neurobehavioral Center in Chicago. according to Richard Lavoie, an expert in child social behavior who was not involved with the study. is when children experiment with the relationship styles they will have as adults, he said. Underlying all of this: "The number one need of any human is to be liked by other humans," Lavoie told LiveScience. and their mistakes are usually unintentional, he said. The results were then compared to parent/teacher accounts of the participants' friendships and social behavior. reading nonverbal cues; understanding their social meaning; and coming up with options for resolving a social conflict. A child, for example, simply may not notice a person's scowl of impatience or understand what a tapped foot means. areas in a child's deficits and then build those up," McKown explained. When children have prolonged struggles with socializing, "a vicious cycle begins," Lavoie said. Shunned children have few opportunities to practice social skills, while popular kids are busy perfecting theirs. However, having just one or two friends can be enough to give a child the social practice he or she needs, he said. parents should teach social skills with the same tone they use for teaching long division or proper hygiene. If presented as a learning opportunity, rather than a punishment, children usually appreciate the lesson. "Most kids are so desperate to have friends, they just jump on board," Lavoie said. Helping the Child with Learning Disabilities Find Social Success" (Touchstone, 2006). after a transgression has been made. 1) Ask the child what happened and listen without judgment. "How would you feel if Emma was hogging the tire swing?" Instead of lecturing with the word "should,"
her you would give her the swing after your turn." "If you were playing with a shovel in the sand box and Aiden wanted to use it, what would you do?" "Now that you know the importance of sharing, I want to hear about something you share tomorrow." The studies are detailed in the current issue of the Journal of Clinical Child and Adolescent Psychology. They were funded by the Dean and Rosemarie Buntrock Foundation and the William T. Grant Foundation. child away from their children.. Is this a phase that will go away? How can I help Martin live a normal life? My readers, the preceding is a letter I recently received from a mother who felt deeply concerned for her child. amiss with their child. Questions are asked when gender or sexual identity issues arise. What did we do wrong? Is my child mentally ill? What will others think if they find out? How do I deal with this shocking news? and deeply worried when they learn of their child's crossdressing or gender identity issues. These feelings are frequently exacerbated by the parents' belief that there is no place to turn for help. Some parents in their search for answers turn to a school counselor, local therapist or even their church minister. Unfortunately, in most circumstances these persons are not familiar with gender identity or sexual orientation issues. two separate but equally important components of self-identity. In the simplest of terms, sexual orientation defines who a person finds attractive for sexual interaction. This may include persons of the same, opposite or both genders. there are some persons who find themselves dealing with personal questions during different stages of life. and may be engaged in by males and females at any age. their internal gender identification. This happens to be the case for the transsexual and transgenderist individual. member of the opposite gender. Transgenderists may live "in role" as a member of the opposite gender. approach to gender, some are interested in hormones while others may seek cosmetic surgery. 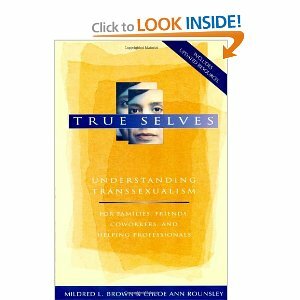 proportion who permanently self-identify as androgyne individuals or as members of the transgender community. relieve anxiety, reduce stress or to get in touch with their opposite-gendered feelings. opposite gender. Within transgender populations, crossdressers are the least visible individuals. Most are unlikely to express their needs openly to family or friends, and few are likely to go out in public crossdressed. to reappear with adulthood, when they can no longer hold back and face times of crisis or major change. persons who develop non-transgender identities. Understanding this dynamic suggest the frequently asked question, "Is this a phase?" "No, not my child!" Overall, most parents really do want the best for their child, regardless of age. in allowing their child to build an identity and experiences separate from family or social expectations. Nearly all parents fear the awful stereotypes that the media uses when characterizing transgender persons. other persons they may know. child really has crossgender issues or is going through a phase. Do the child's questions about gender arise regularly? Does the individual consistently express he or she has gender issues or has adopted an opposite gender identity? there is a strong possibility that this is not a phase. The individual may likely have special gender issues and needs. least likely to bring gender questions to the forefront unless actually in crisis or caught in the act. time and money into psychotherapy for the child. mental health professional's insistence that such behavior is abnormal or transitional. Some professionals may also claim that a transgender behavior can be cured or reprogrammed. or her conform to social stereotypes, particularly when varying gender identities are part of the human experience. for who they are, not for what others perceive they should be. This is also true for children with gender identity issues. and violence transgender persons face from people who cannot accept differences in others..
others who cannot accept differences. or are unable to crossdress publicly because they have not built sufficient opposite-gendered presentation skills. as a form of self-expression, whether or not they have questions about gender identity. of gender and sexuality, frequently have an advantage over their peers who simply conform to stereotypes. strategies that will be advantageous later in life. to supporting children or youth who have strong transgender needs and feelings. "training manual" when they have children, whether their children have gender issues or not. formal events such as weddings but allowing the child to dress androgynously for school and peer activities. until they are old enough to be certain they want to change their name permanently. should be adopted only after both parent and child have consulted with a gender specialized therapist or sexologist. difficult to understand or accept. Relationships are most fragile when talking stops, becomes unproductive or one-sided. and into adulthood they need the opportunity to build social skills and an separate identity in order to survive independently. The price of not talking about these processes or encouraging children to become independent is very costly. Youth who are continually forced to comply with social stereotypes may develop behavioral problems or depression. Like adult transgender persons, they may also become estranged from family relationships. Youth who become disillusioned with their families may end up homeless and at risk of victimization and disease. Some may commit suicide, leaving others with no explanation or insight into the pain they were suffering. had hoped to prevent...a gender conflicted adult who self destructs careers and relationships as well as their own children. issues or crossdresses. While some parents may have suspected or denied it, many never imagined such a possibility. gender behaviors in order to mask their gender identity issues or crossdressing needs. validation or acceptance, please remember that your child needs your love and compassion. Do not reject your son or daughter because this may result in unresolvable differences. need help. In addition to looking for a cure, these parents frequently ask, "What did we do wrong." more right than wrong. While parental self-doubt is not be useful to anyone, asking questions is healthy. particularly when I don't know how to offer it right now? an opportunity to develop a healthy, gender identity? I advise you read about gender issues from recognized sources of current information. Do not rely on television talk shows or uninformed persons, it is likely their facts are sensationalistic or extremely biased. refer him or her to gender-specialized help, also. "Cross-dressing and the Trojan War"
One of the big fringe benefits of being a writer is research, and the enlightenment it brings. My four year old son cross-dresses. with beading or flowers—then loads up on hair ornaments, nail polish, high heels, evening bags, makeup and jewelry. He also likes to advise me on my wardrobe. It’s like living with Isaak Mizrahi. that he considers suitable for carpool, jogging, and shopping at Costco. independent of sexual preference—i.e., there are lots of heterosexual guys out there wearing lingerie. I can’t speak to this as far as my son is concerned, because he’s not quite four years old. because he’s a BOY and would always be a boy, because THAT’S HOW LIFE IS. but was this the time for the transgender/transvestite/gay/straight discussion? quite a bit of diversity under that tent. Which leaves me with my own mixed feelings on the subject. and most of my closest friends. The problem is, the majority of them are now dead. so I can’t even listen to show tunes now without weeping into my espresso. For most of my friends, it wasn’t all LA CAGE AUX FOLLES, or even BROKEBACK MOUNTAIN. or sexual preference issue lived through hell while coming to terms with it. So when I think about my son and anyone taking issue with his evening gown and chiffon scarf, I get all worked up. Violent images run through my mind, the kind that end in lawsuits. Good mothers do not commit assault, do they? But what do they do? Warn their children about the dangers of complete self-expression in social situations? I found the answer in Homer (no, NOT Homer Simpson). Which I’m slogging through as research for my novel-in-progress. tried to keep him from being recruited into the Greek Army by dressing him in women's clothing. Now this isn’t a scene you’ll find in the Brad Pitt film, TROY (why not?) and also, it didn’t work. But it reminded me that there are worse things in life for a child than falling outside the mainstream. I’m lending my son that slinky black number with attached feather boa to wear to his Army interview. Being the target of bullies is a form of torture. I know this firsthand—I was bullied for two years in elementary school. Now I’m a mom, and the thought of the same thing happening to my child terrifies me. or are a witness to other kids being tormented at school. Are name-calling and teasing just part of growing up, a rite of passage that all kids go through? "Many people out there think that adults are making too much of a fuss about it, that we should leave kids to their own devices. We know better now,” argues Peggy. What Can Parents Do to Stop Bullying? If this seems to be happening a lot, consider the possibility that bullying might be the reason behind the sick days. Also, look for signs that kids are hurting themselves. Self-mutilation can be a sign. go to the bathroom. Since there’s only one way in and one way out of a bathroom, it’s an ideal place to tease other kids. Boys who are bullied often won’t go all day, which can lead to lifelong intestinal issues. This could potentially be a sign—if your kid races home and goes to the bathroom every day after school. These are all possible signals that your child might be the target of teasing at school. out what’s going on with a child—add the possibility that your kid is getting tormented at school. The injury is real when kids get teased—unchecked, it can be devastating. That’s a pit parents can fall into. Don’t make the assumption that your kid has done something to bring on the teasing. Teasing isn’t always logical, and for your kid it doesn’t matter why—it just matters that it’s happening. Listen in a non-judgmental way about your child and about the teaser. Let your kid do the talking. Don’t try to solve the problem. Ask, “What happened? How did that make you feel?” to draw your child out. And try to find out more about the kid who’s doing the teasing. Don’t say, “Oh my God, what a rotten kid,” because you’re just getting a part of the story. Your child doesn’t need you to go ballistic or take on the problem as your own. Your child needs to know that he’s being heard and that his feelings matter. Once you’ve got the whole story out, depending upon what’s happened, you can take your next step. on the playground, my child is not going to feel safe telling me anything about this again. I’m taking on his battle for him. The short answer is to let your kid come up with ideas. Ask him questions like, “What do you think you can say next time? help them see that this is a problem they can solve on their own terms. Let them figure out that the bullying might escalate if they resort to name-calling. You can suggest that they walk away the first time and say what they need to say the next time. We have to be honest about how hard it is to face a tormentor. solving the problem on his or her own terms. It’s a skill you can teach them that will last a lifetime. coach or family friend. Unless that conversation can start, it’s very hard to get to the heart of the problem. Go in pretty early, as soon as your child starts coming home and mentioning that they are being teased. go in after school when all the kids are gone. Call the teacher and set up an appointment. Teachers are like everyone else, if you mention something in passing, it won’t carry as much weight. If you make an appointment, they will listen. A caution to parents: often when your kid is getting bullied, their teachers don’t know it. it’s happening out of earshot. That’s what teachers need to know, because it may not be obvious to them. What you’re asking is for them to keep an eye out. Later, you can check in with email, and they can get back to you when you’re ready. Put it into the lap of the principal and ask, “When can I expect to hear back from you about what you’ve done? and then you can reassure your child about this as well. Once you’ve got a threat, you’ve got a crime—it’s called “Criminal Threatening.” It’s time to alert the police. because once a child has been threatened with violence, it’s a really big wound. It’s hard to tell that child that they can feel safe at school ever again. Especially if the threat is anonymous. For the kid who gets an anonymous threat, going to school is terrifying minute-to-minute. There is no way a child can focus on her math test if she’s trying to figure out who wrote the note saying they were going to kill her. By the time you get to that point, you are in crisis mode. Part of it is getting a sense from teachers about what’s really going on in that school. you really have to decide whether the child is safe in the school and whether you want to keep her there. The message to kids in your book Say Something is that kids have the power to stop bullying behavior at school themselves. When we talk to kids about bullies, remind them of this truth: Bullies are cowards. Most bullies won’t tease two kids together, and almost never will they pick on three kids at once. to make someone else feel lousy so they can feel powerful. Most kids who are teasing and putting down other kids are looking for approval from peers. “Hey, come over here, you want to go play?” to the person getting picked on, that’s huge. they have the power to change their situation, especially when they work together. Kerbs, J.J. & Jolley, J.M. The Joy of Violence: What about Violence is Fun in Middle-School? American Journal of Criminal Justice. Vol. 32, No. 1-2/ Oct. 2007. School PSYCHOLOGY REVIEW, 23 (2), 165-174. EJ 490 574.
bullying awareness workshops to healthcare providers, educators, students and parents in the United States and Canada. co-authored with 14 year old Dee Dee Tardif, was released in May. For more information about Peggy, see www.SaySomethingNow.com.